You don't have to know everything about Champagne to enjoy its bubbly goodness. As our friends at Fat Cork (the exclusive importers of Grower Champagnes) like to say, "As long as you can get the cork out of the bottle, you know enough!" 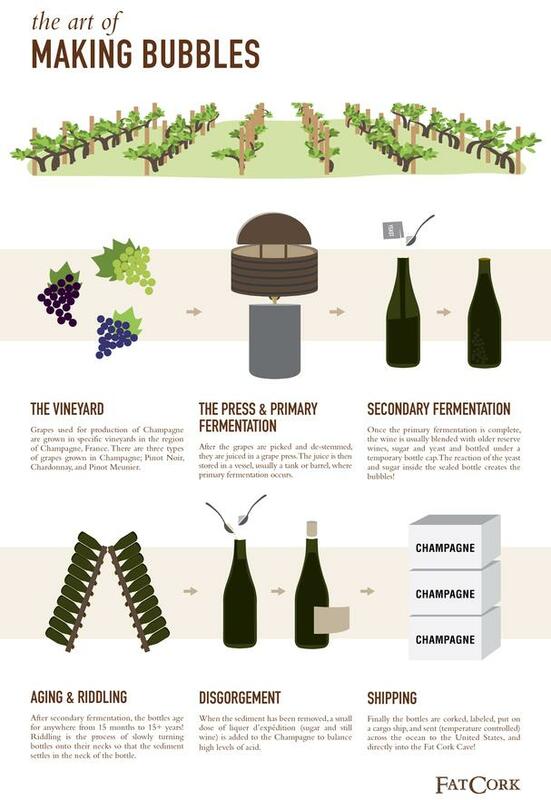 But if you want to learn a bit more about this tasty beverage, check out this handy Champagne infographic. And, bone up even more with some useful terminology below. Browse their Blanc de Blancs selections. Browse their Blanc de Noirs selections. Browse their Brut Nature selections. Browse their Extra Brut selections. Browse their Tête de Cuvée selections. Browse their FC Club selections.